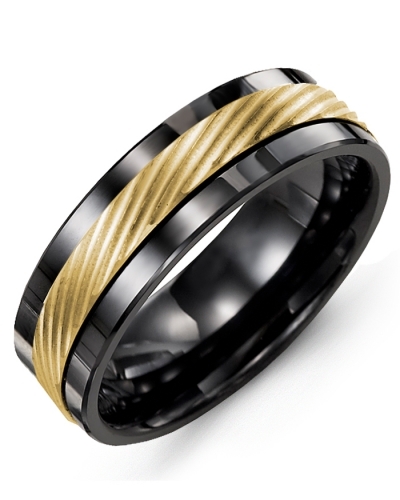 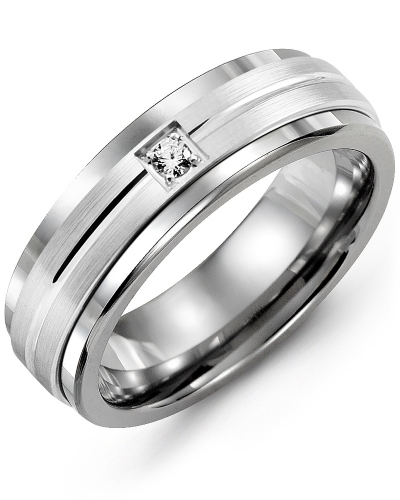 MBH - Checkered Pattern Carved Wedding Ring Sophisticated and sporty in design, this 7mm Checkered Pattern Carved Wedding Ring for Men combines a beautifully detailed two-tone gold insert with a classic cobalt ring, ceramic ring, or tungsten ring. 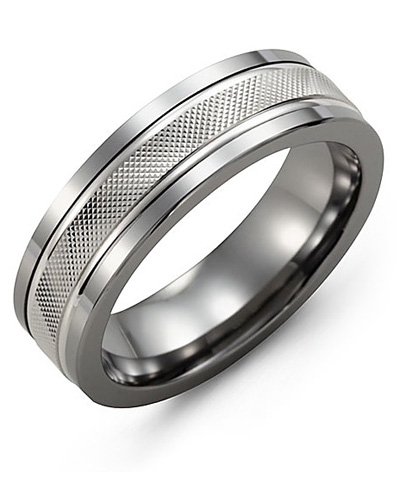 Available in white gold, rose gold or yellow gold, this eternity ring for men is a timeless piece of jewelry that you can wear every day. Choose from 10kt, 14kt and 18kt options, and 9mm and 11mm widths. 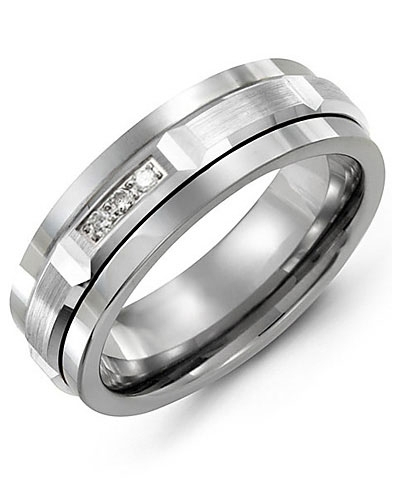 For a personal touch, engrave the inside! Sophisticated and sporty in design, this 7mm Checkered Pattern Carved Wedding Ring for Men combines a beautifully detailed two-tone gold insert with a classic cobalt ring, ceramic ring, or tungsten ring. 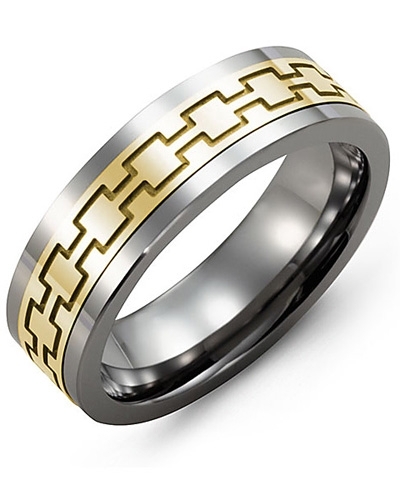 Available in white gold, rose gold or yellow gold, this eternity ring for men is a timeless piece of jewelry that you can wear every day. 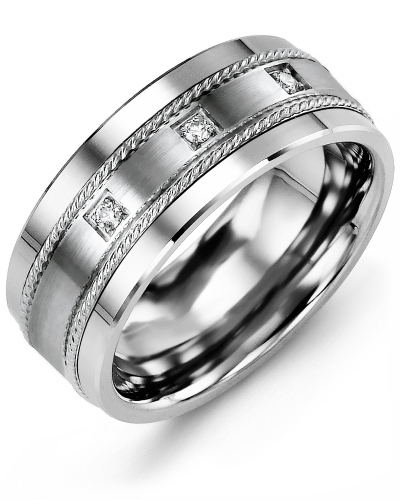 Choose from 10kt, 14kt and 18kt options, and 9mm and 11mm widths. For a personal touch, engrave the inside!